Direct cut header for self propelled forage harvesters. Cutting width of six meters. 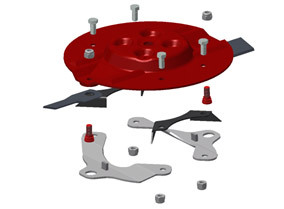 Oscillating central attachment with suspension or fix adaptable to all forage harvesters models. 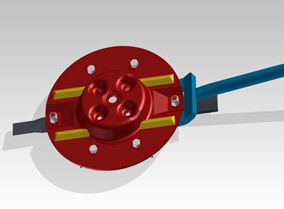 The innovative cutter bar is made of an advanced wheelbase gears system and allows an indirect transmission to the gears reducing the traction power and assures a minimum wear. 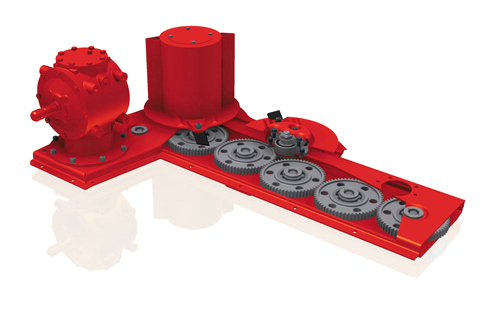 The big gears transmit independently the motion to the small gears of the disks ensuring a uniform and efficient distribution of the power on each disk. The cutter bar is totally welded to provide greater stability. 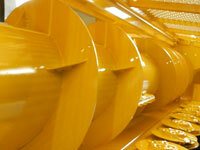 The auger has a large diameter, to allow an uniform and constant conveying of the product for the whole length. 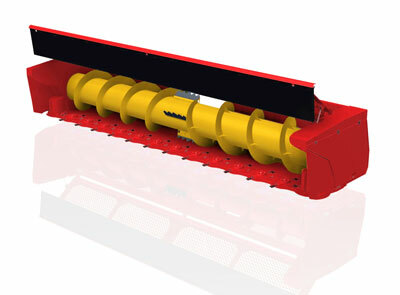 The innovative cutter bar is made of an advanced wheelbase gears system and allows an indirect transmission to the gears reducing the traction power and assures a minimum usury. The big gears transmit independently the motion to the small gears of the disks ensuring an uniform and efficient distribution of the power on each disk. The cutter bar is totally welded to provide greater stability . 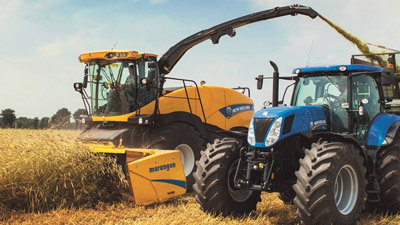 The large 830 mm diameter auger quickly feeds the crop into the forager. The front protection allows the cutting of very high prducts and a quick insepction of the whole cutterbar. 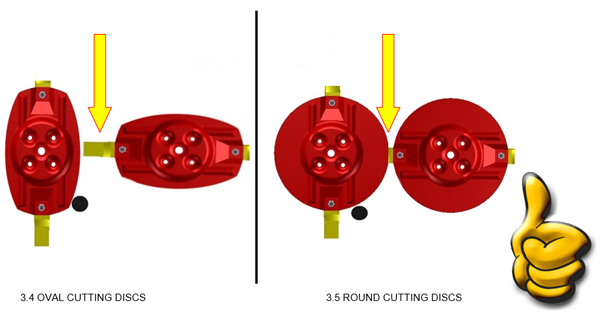 Marangon’s round cutting disks provide greater safety than the oval disk in case of shock shock, avoiding damage to the vital parts of the mower and repeated cutting of the product as the knife disappears under the disk. Hot forged, tempered, bent and ribbed, allow the acceleration of the flow in way to facilitate the discharge of the product. Knives are made of high quality steel for a long life . Preserves the mechanic of the whole cutting group. Quick knives change system for a faster knives change with the appropriate key. The accessory can also be installed after the purchase of a MARANGON mowing bar as the disk is ready for its after-market installation.